Campaign manager? Hmm... I don't have one of those. I've never needed one--well I did have Hugo and Fidel but that was for the presidential campaign. My human has been managing my campaign... I think I need to step up my game here! This is really big. We can't wait fur the innerview. 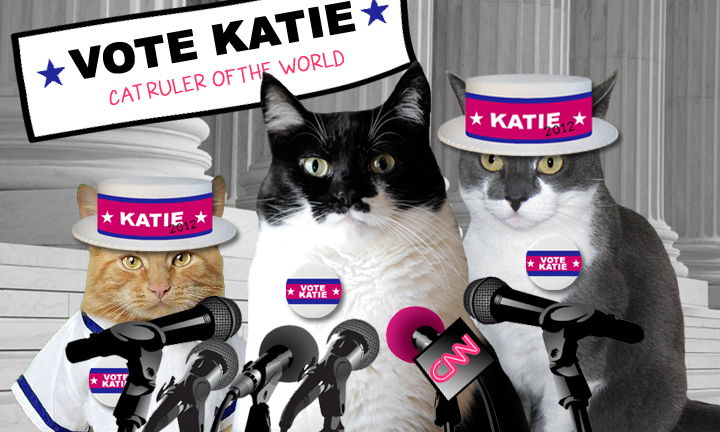 You've got our vote, Katie. Happy Monday! That's quite an impressive team you have for your campaign Katie. We are looking forward to your interview and the debate. This is a worrying development!! When Austin wakes up from his nap, we will have to rethink our campaign!! Nice move, get the home-girl vote! This is gonna be the bestus contest ever ! Wow...we sure hope Waffles will be okay... that is a huge responsibility for one cat's paws!!!! That is a great team Katie! My 5 sisters are running my campaign with iron paws! It's a pleasure to be a member of Team Katie. I'm looking forward to bossing Waffles around, I mean, running this campaign from the field. I'm also looking forward to freeze-dried salmon. Heh heh! Good luck on the campaign trail Katie! Katie...WHERE in the world is Waffles from!?! Mommy says you can never have enough waffles...she's a little off topic, you understand. 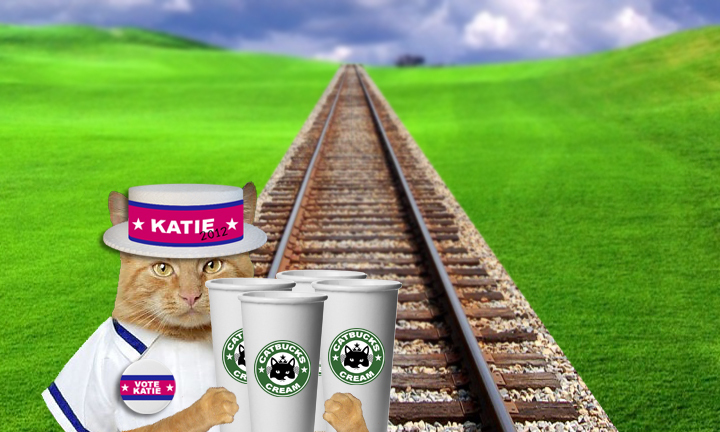 Wow, that is a high-powered campaign team, Katie! OMC, this is fab! Our campaign manager Domino is napping on the job. We better get our furry butts in gear. See you at the debate tomorrow! You've surrounded yourself with an impressive team!! We can't wait to read your interview! I vote Katie! Good luck and high paw :) P.s. you have a great team with ya! 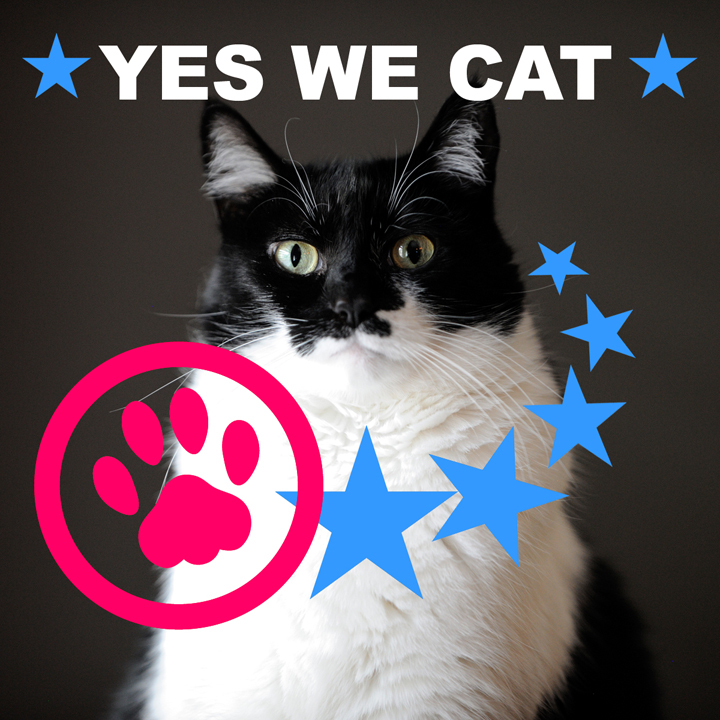 while our tabbiefied little hearts are with Brian; we must say conCATulations on your superbly polished campaign. 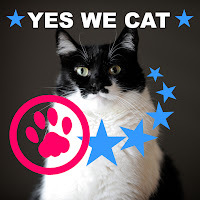 We are still laffing at 'Yes we Cat'. Obviously we haven't had enough catbucks yet. MOL! 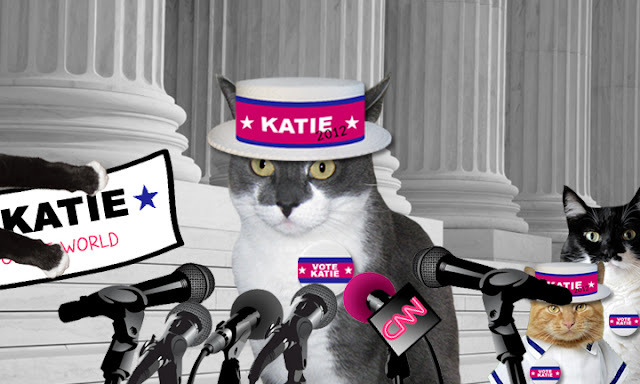 That is an impressive campaign team you have Katie. We will be there for the debate tomorrow. Yeah, like the Island Cats said, don't listen to Bill Clinton on what to do with your intern! Gosh you are so organised! Pawsome. We would like to see your command chair. bet it's nice and Glogirly! We're sold! We are hopping on the cat wagon too. Katie, You have just made this ManCat's decision even HARDER. I mean, I love YOU, I love CK, I love SPARKLE!!! I efun love Austin and Brian! I'd prolly luff the others too, if I knowed them. I dunno WHAT a ManCat is supposed to do! Why, maybe he'll set up four dummy blogs and email and vote four time?? That's what Mayor Daley woulda done back in '60. Hmmmmmm. Campaign manager? You are such a marketing pro! Will you be appearing on Letterman? The View? Campaign Manager!?! Oh! Wow! And that intern is really kind of cute!